Socket preservation is the process of securing a bone graft into the socket of an extracted tooth, to restore a healthy and strong jaw structure, and reduce further bone loss after tooth extraction. This procedure must be done at the time of the extraction, as it is a crucial step in maintaining the shape of the socket and prevent it from collapsing inwards after the tooth is taken out and there is no longer something holding the socket in place. 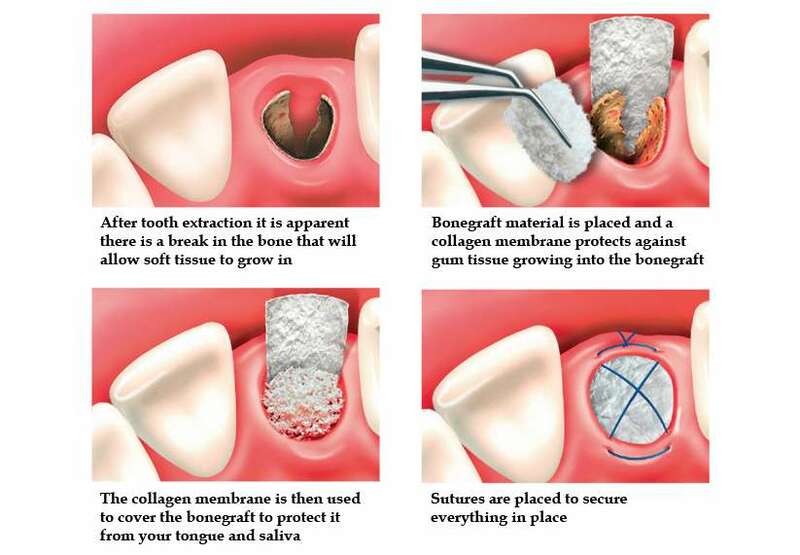 The purpose of this procedure is to preserve the existing bone and prevent further bone loss after extractions. If this procedure is not done at the time of extractions, patients will face more invasive and costly surgery to restore the damage and rebuild the lost bone down the line. Our Brentwood periodontists, Dr. Aalam and Dr. Krivitsky will ensure your socket is preserved at the time of extraction. If your extraction has already taken place, they will ensure the socket has been preserved before completing your treatment plan.